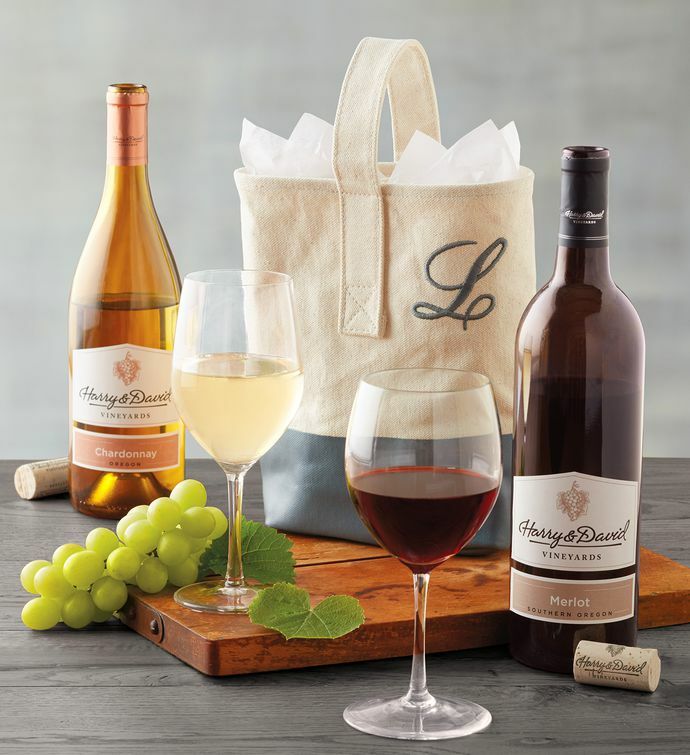 Celebrate a special day with a wine tote complete with a pair of bottles of Southern Oregon wine. The sturdy canvas tote has a removable divider and can be personalized with one initial. Includes a bottle each of Harry & David™ Merlot and Harry & David™ Chardonnay. The tote is sure to get plenty of use after the wine is gone.